December 7, 1944 to Logan and Bethel (nee Combs) Luster. Janetta was the owner of Janetta’s Place in Round Lake along with other businesses. She was an avid Bulls fan and enjoyed woodworking. She is survived by her children, Jackie (Greg) Castillo of Twin Lakes, Wisconsin, Marcus of Round Lake Heights and Jeremey (Marla) of Round Lake Heights; her grandchildren, Brianna, Jacquitta, Nathan, Michael and Logan; five great-grandchildren; and her siblings, Janice and Lillian Dale. Janetta was preceded in death by her parents, her husband, Marcus, and a sister, Jacquitta. Friends of the family may visit on Sunday, January 3, 2016 from 2:00 p.m. until 6:00 p.m. at Strang Funeral Chapel & Crematorium, 410 East Belvidere Road, Grayslake, IL 60030. Funeral services will be held on Monday, January 4, 2016 at 10:00am at Strang Funeral Chapel with interment to follow at Avon Centre Cemetery in Grayslake. For information, please call 847-223-8122 or log on to www.strangfuneral.org. 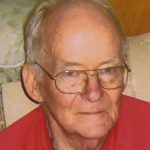 Edward Dyrek, 87, of Cary, IL, passed away on December 26, 2015 at Good Shepherd Hospital in Barrington, IL. He was born on February 4, 1928 in Chicago, IL to Joseph and Mary Dyrek (nee Majkrzak). Edward was a Korean war veteran. He loved to golf and travel and was a avid Cubs and Bears fan, but most of all, he loved and cherished his family and friends. Edward is survived by his wife of 65 years Shirley, they were married September 3, 1950 in Chicago, by his children Doug of Myrtle Beach, David of Chicago, Gary(Sandra) of Crystal Lake, his grandchildren Katreena, Megan, Elizabeth, Lauren, and Gregory. Edward was preceded in death by his aforementioned parents. A public visitation for Edward will be on Friday January 1. 2015 at the Strang Funeral chapel 410 E. Belvidere Rd, Grayslake, Il, 60030 from 3:00 P.M. till 7:00 P.M. a funeral mass will be on Saturday January 2, 2015 at St. Paul The Apostle in Gurnee at 10:00 A.M burial will follow at Ascension Cemetery in Libertyville. in lieu of flowers the family has asked for donations to The American Cancer Society. Bridget Gibbons, 68, of Itasca, passed away on December 27, 2015, at the Forest View Rehabilitation and medical center. Bridget was born on June 3, 1947, in Chicago, Il, to Owen and Mary McGarel nee McCourt. She was a member of St. Joseph Catholic Church, and was very proud of her Irish heritage. Survivors include her children Sheila(Matt)Nagel of St. Germaine, Dan(Lisa)Gibbons of Naperville, Eileen(Bill)Hamilton of Lombard, Il, her grandchildren Delaney Gibbons, Chloe Gibbons of Naperville, Il, Jake Hamilton, Erin Hamilton, of Lomberd, Il, Eric Nagel, Sarah Nagel, of St. Germaine, Wi, 1 brother Sam(Toni)McGarel of Western springs, Il, 1 sister Sheila Dunn, Bridget was preceded in death by her aforementioned parents, 5 brothers, 1 sister. A public visitation for Bridget will be Wednesday December 30, 2015 from 10:00 A.M. till 11:00 A.M. at St. Joseph Catholic Church, 114 N. Lincoln Ave , Round Lake, Il, 60073, A catholic funeral mass for Bridget will start at 11:00 A.M. Burial will follow at Ascension Cemetery. all arrangements were entrusted to the Strang Funeral Chapel 410 E. Belvidere Rd, Grayslake , Il, 60030. Birdie Olsen, 80, a resident of Hainesville, IL passed away Wednesday, December 9, 2015 in Libertyville, IL. She was born November 14, 1935 in Amherst, WI to Joseph and Martha Rekowski. Birdie is survived by her daughter Sheree (Bob) Landrum, her grandchildren Bobby (Cindy), Brandon, Kim, and Janis, her great-grandchildren Peyton, Alexa, and Naram-Sin, and her daughter-in-law Mari-Ann Olsen. She was preceded in death by her parents, her husband Harry, and her son Billy. A private burial was entrusted to Strang Funeral Chapel & Crematorium 410 E. Belvidere Rd. Grayslake, IL 60030. For more information please log onto www.strangfuneral.org or call (847)223-8122. Robert Taylor, 72, passed away December 9, 2016, at his home. Mr. Taylor was the eldest child of George and Blanche Taylor. He was born September 12, 1943 in Belleville, IL. He graduated from Auburn High School in 1961. He went to Illinois State University and completed a Bachelor’s and a Master’s degree. 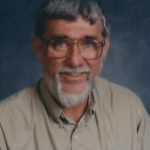 Professionally, he coached basketball and taught math, physics and chemistry at several Illinois high schools and the College of Lake County. He spent most of his career teaching physics at Warren Township High School, where he taught from 1981 until his retirement in 2003. He married Sharen McCall on August 13, 1966 in Auburn, IL. They were married for 49 years. They have been members of Faith Church in Grayslake, IL for 34 years. Surviving are his wife, Sharen Taylor; his brother Alan Taylor, his children, Rhett (Constance) Taylor, Ryan (Tessa) Taylor, and Raegan (Jeremey) Towne; seven grandchildren and two nephews. A visitation and memorial service will be held Monday, December 14 at Faith Church in Grayslake, IL. Visitation will be from 4:00 to 6:00 PM. The memorial service will commence at 6:00pm. Viewing will be Wednesday, December 16 from 10:00 to 11:00 AM, immediately followed by a funeral at Bramley Funeral Home in Auburn, IL with the Rev. Jeremy Towne officiating. Burial will be in the Auburn Cemetery. Memorials may be made to The Gideon’s or The Parkinson’s Disease Foundation. For more information please log onto www.strangfuneral.org or call (847)223-8122. John A. Lindstrom, 87, a resident of Wildwood, passed away Tuesday, December 8, 2015 in Libertyville, IL. He was born February, 23, 1928 in Chicago, IL to Cidron and Anna Lindstrom. John was a US Marine veteran having served during the Korean War as a drill instructor in San Diego, CA. He married Phyllis Anderson on February 26, 1949. John had worked for 24 years and retired with IBM and previously worked for Illinois Bell. He especially enjoyed travelling with his late wife and was a ham radio operator with the call sign W9AZW. John is survived by his children Joleen Gialds, John Lindstrom, and Jeffrey Lindstrom, his grandchildren Douglas (Alisa) Gialds, Jonathan Gialds, and David (Sarah Pusateri) Gialds, and his great-grandchildren James, Lucas, and Ella Gialds. He was preceded in death by his parents and his wife Phyllis. A visitation is scheduled for Friday, December 11, 2015 from 4:00 p.m. until 8:00 p.m. at Strang Funeral Chapel & Crematorium, 410 E. Belvidere Road, Grayslake, IL 60030. The interment will be held privately at Highland Memorial Park in Libertyville, IL. In lieu of flowers please make donations to American Heart Association or American Cancer Society. For more information please log onto www.strangfuneral.org or call (847)223-8122. David A. Gudziunas, 62, a resident of North Chicago, IL passed away Monday, November 30, 2015 in Waukegan. He was born May 6, 1953 in Chicago to Adolph “Edward” and Anna Gudziunas. David was an Eagle Scout, had worked for Tower Products for 2 years, and was a retired patrolman for North Chicago after serving for 28years. He was an avid Packers fan, enjoyed musky fishing in the Northwoods, was a member of the Blue Knights Motorcycle Club, and a lifetime member of Illinois Police Association. David is survived by his wife of 43 years, Elizabeth, his daughter Sarah (Joshua) Grubbs, his grandchildren Charles, Cheyenne, and Jackson, his brother Daniel (Kathleen) Gudziunas, his one niece and many nephews. He was preceded in death by his parents, his brothers Dennis and Anthony, and his Uncle Stanley Jasper. A visitation is scheduled for Thursday, December 3, 2015 from 4:00 p.m. until 8:00 p.m. at Strang Funeral Chapel & Crematorium, 410 E. Belvidere Road, Grayslake, IL 60030. The funeral service will be held on Friday, December 4, 2015 at 10:00am at the chapel. Memorial donations may be made to the Police Memorial Fund. For more information please log onto www.strangfuneral.org or call (847)223-8122.